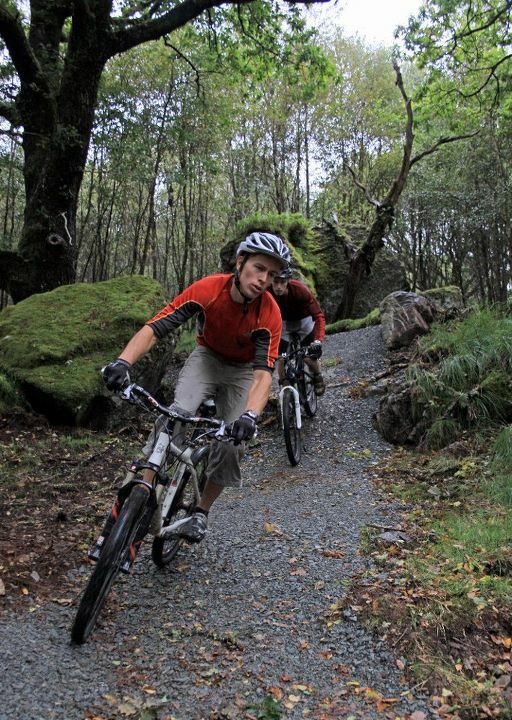 Worst Thing – Injury from falling off the mountain bike! 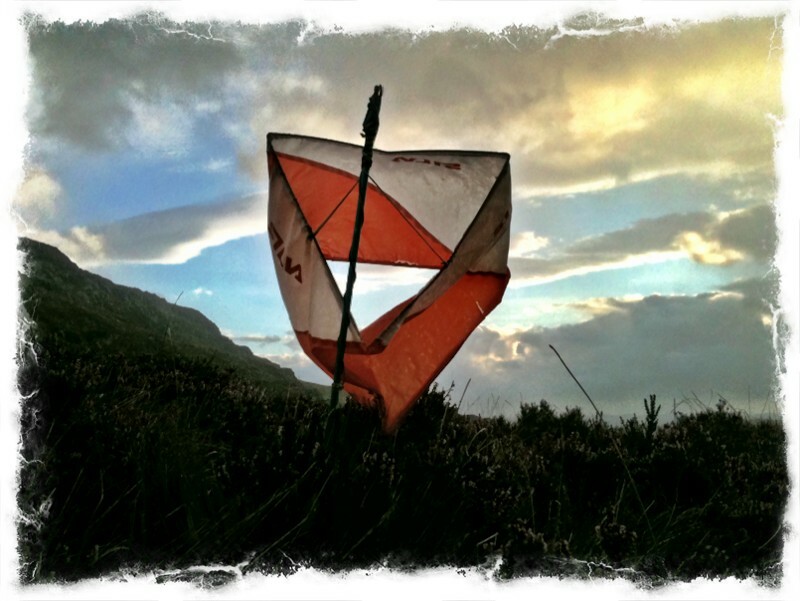 Work Highlight – IML Speed Nav course setting – great fun! Lie-in, blog, and planning day! Visited Cotswold Rock Bottom to purchase some new climbing shoes! In the evening a talk by Adam on the Yukon Challenge (kayaking) was of good interest. Water day! 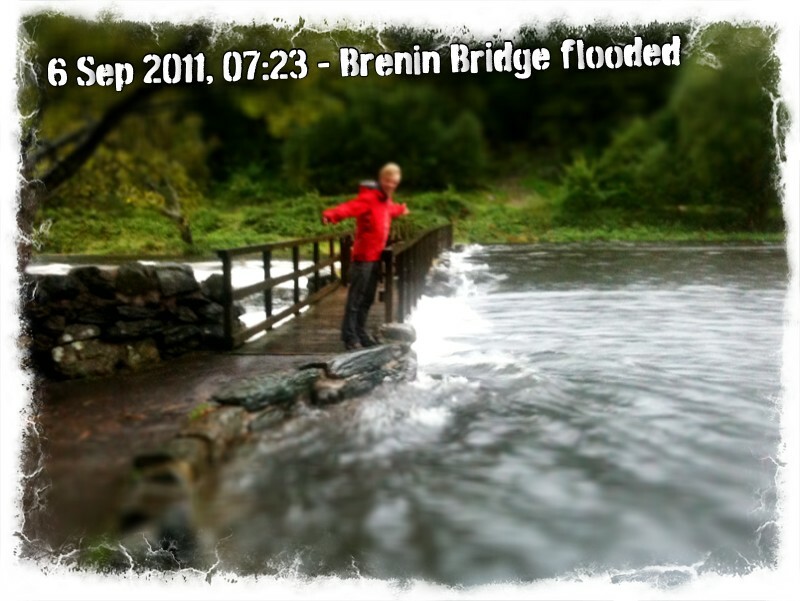 Eager to see how the promised overnight flooding had left the Brenin bridge, Will & I snuck out early to see if ultimate excitement had been achieved – that the Llugwy may have broken over the bridge entirely. Alas, it was only teasingly lapping against the very top edge! 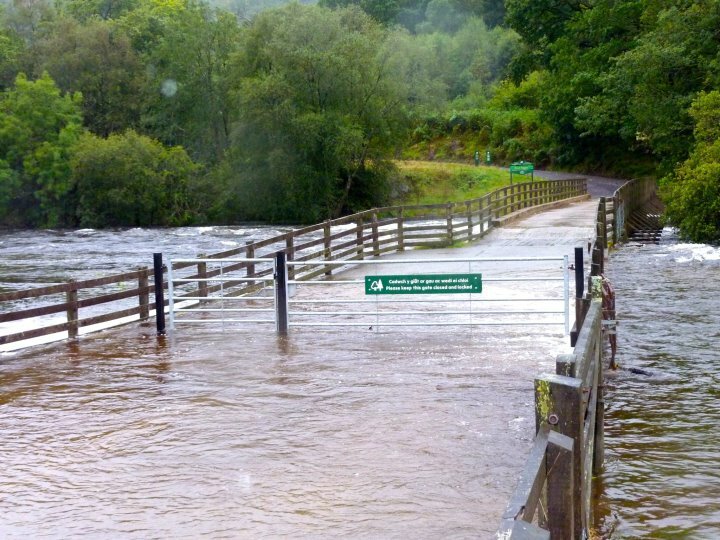 We drove down to see the usually Grade 5-6 rapids under Pont Cyfyng – absolutely torrential as this video proves! Afternoon session: training on the new centre database system! In the evening, I snuck over to see the new cottage coming into shape, we watched The Social Network – great film! – and I managed to finish the Wedding photography for Geth & Kirsty! 3 lots of paddling today! Rafting canoes on the lake (very wet activity with 8 CAs and 2 instructors!) and taking the open tops down for a spin in the jetty! Rolling Pool – technique session two, getting there – very close now! The morning was spent over at the coral learning about the boat sheds, different boat types and general hands-on tips. Fixed lots of canoe seats! Thereafter, I was assessed for my BCU 2* award which I passed! This ‘taster’ weekend to find out if the IML (International Mountain Leader) award ‘is for you’ was being hosted at Plas y Brenin. I’d been drafted in to help run the speed nav element of the 2 days – a 1hr 45min (approx) course to find 5 control points on a 1:25000 map. I left the Brenin just before 7am to set out the course on the Crimpiau – with a light jog between points this was done in two and a half hours back in time for the morning sessions which I was able to join in with. The rest of the day went well. Day 2, and a morning run only took 1 hour to get round and check all the controls were still there and had not taken off in the high winds! Setting off the speed nav in the morning session, I was then able to join in with the rope-work workshop which was certainly very useful. A bit tired but I enjoyed the challenge, with it being similar to my passion for orienteering, and thankfully it was well received with good feedback on the courses. A great weekend! Plus, I was able to decide for myself whether or not to embark on the IML scheme – we’ll see!